Pick up & drop off, guided brewery tour, visit minimum 4 breweries, plenty of the golden stuff, a feed and a cracking good time! Mowing the lawns can wait as its time to relax and sample some of the Mornington Peninsula and Melbourne Bayside's Finest Brews! 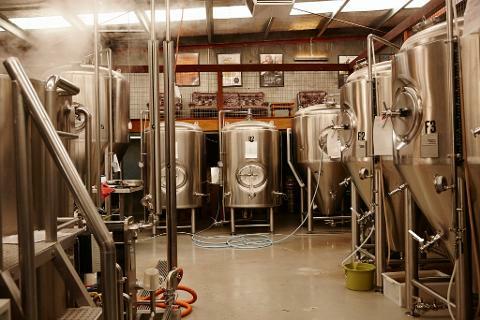 In recent time's the craft beer industry on the Mornington Peninsula and neighbouring bayside ares has exploded and Brewery Bus Tours are excited to be able to take you to visit some of the pioneer breweries in the area and also some of the new comers on the scene! With so many choices on hand in such close proximity we have had to break our saturday tours into either the Bayside Beers or Hillside Hops tour, so take your pick. We would love to take you too them all but that would end up extremely messy and we don't like spew on our bus! Our Hillside Hops tour will start with a visit to one of the original pioneers of brewing in the area, Hickinbotham Brewery. Most likely, Andrew and Terryn the brewery and wine estate owners will be on hand to give us the tip on how to brew a good drop. Speaking of good drops, have a crack at the Hix Brown Ale while yo'r there, it gives new meaning to chocolate that melts in your mouth! 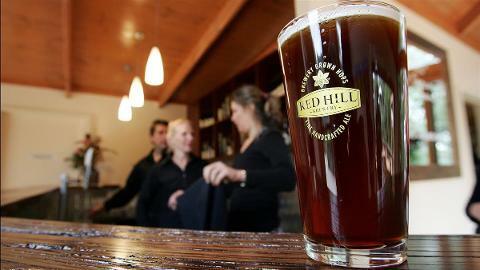 From here we will head up to Red Hill Brewery, a long standing and iconic brewhouse on the Mornington Peninsula. 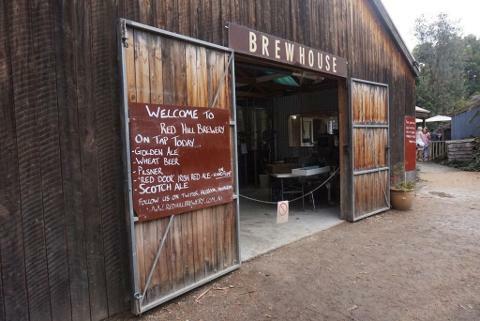 The setting for this Micro Brewery is truly unique and you will love tucking in to some mouth watering Slow Cooked BBQ and washing it down with a Red Hill Golden Ale or 3 if your thirsty..
Then its down the hill where we meet the blokes at Jetty road Brewery. 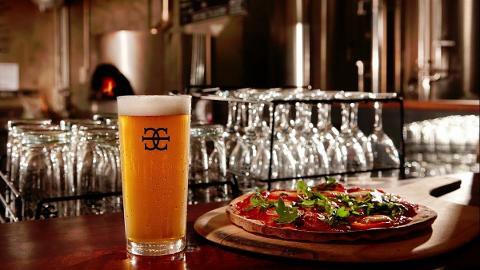 This is one of the newest breweries to open in recent times and their American style Pale ale is a must try. 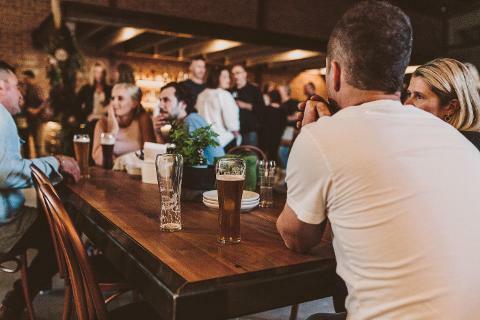 Just like on thebrewbus.com.au the vibe at Jetty Road Brewery is pretty laid back, an easy going atmosphere with some style which keeps the locals and visitors that are lucky enough to find this place coming back for more! Last stop on thebrewbus.com.au our final destination is the famous Mornington Peninsula Brewery, Matt and the team at Mornington Peninsula Brewery have an outstanding set up and will take you through the finer points of brewing a batch using the latest techniques and specialty ingredients. 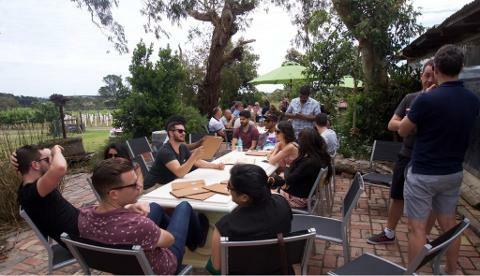 The only thing left is to chill out in the beer garden with some tunes in the background and reflect on a great afternoon with friends or colleagues. English Brown Ale is a style made with chocolate & dark crystal malted barley which gives the aroma & flavour of nuts & chocolate. The hops lend a citrus character to the mix which complement the malt character & caramel overtones beautifully. 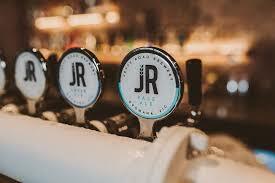 The Jetty Road Pale, a spin on the American style pale ale. Designed to be a sessionable pale with a crisp and clean palate underpinned by a subtle satisfying bitterness.Tropical and citrus aromas come through from generous late hop additions of mosaic and simcoe. Although the MP Pale is a favourite and readily available, Mornington Peninsula Specialty beers are a short batch run and available at the brewery. 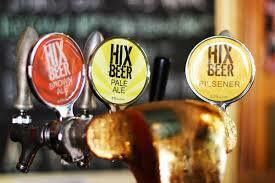 Designed and crafted by the head brewer, they change according to new styles and seasons. You had better be quick as they don’t hang around for long. Tour Duration : 1pm pick up - 6pm Drop off……..